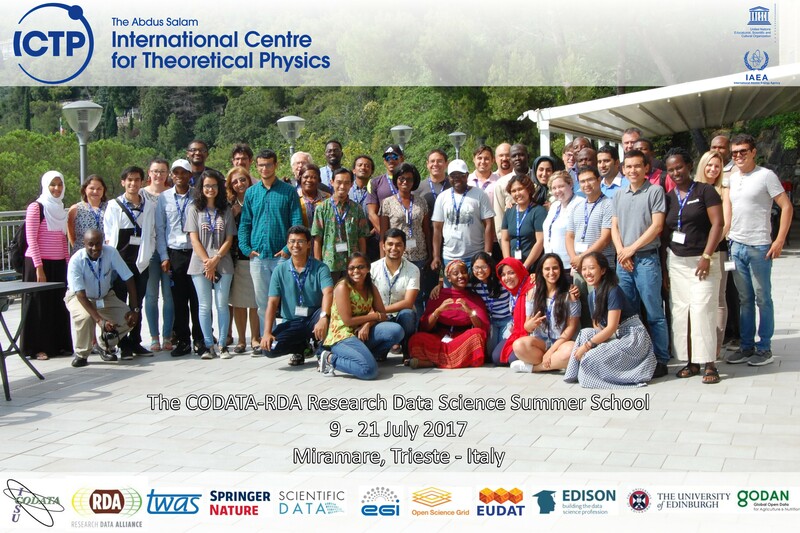 Advanced Workshops will run for their third and second year respectively at the International Centre for Theoretical Physics, Trieste, Italy. 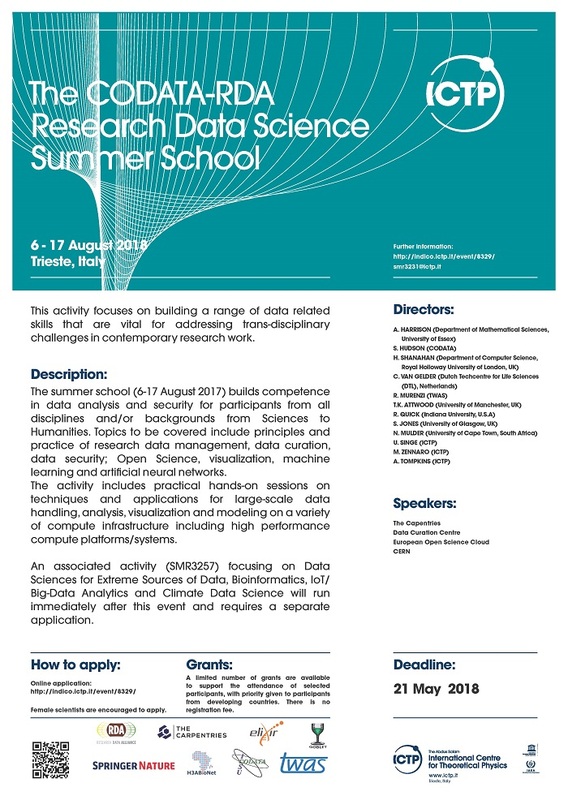 The CODATA-RDA Research Data Science Summer School will take place on 6-17 August 2018. Apply here! 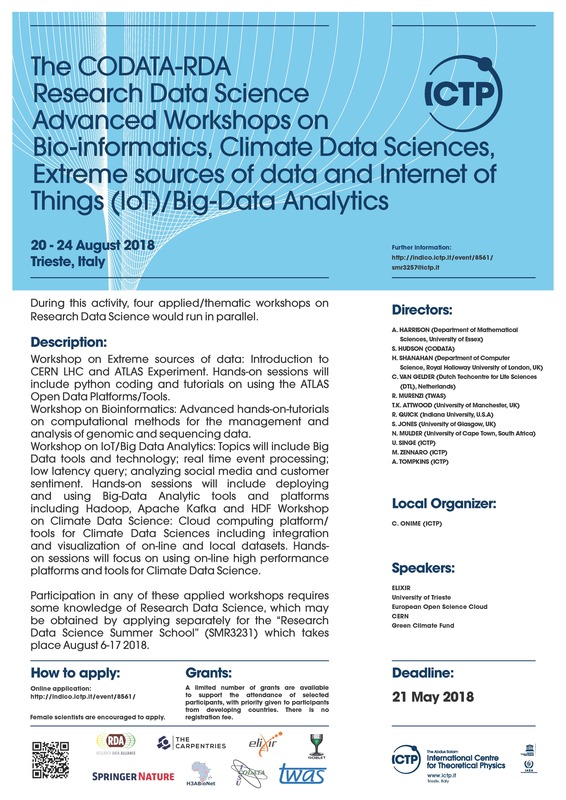 The Advanced Workshops will take place on 20-24 August 2018. Apply here!